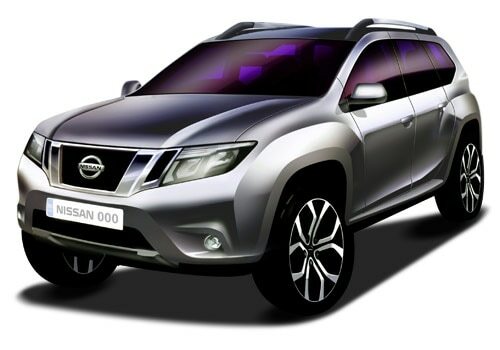 Nissan the German based company ready to launch its first compact SUV (sports utility vehicle) based on Renault Duster , named as Nissan Terrano. According to the sketches released by the company it is very much alike with Duster. It is expected to be launched by the end of this year. The price of the SUV is reasonable and in the reach of middle class of people. It is launching with only petrol engine. This 1.6-litre petrol engine is able to displace 1598cc and generates the maximum power of 100.5bhp at 5850rpm with the maximum torque of 145Nm. It is loaded with five speed manual transmission gear box. Because of its powerful engine the fuel economy of the Sports Utility Vechile(SUV) is expected to be quite healthy and impressive. This upcoming Nissan SUV's mileage is assumed somewhere around 10 to 14 kmpl which is good enough. The acceleration and the pick up of this ready to launch vehicle is quite impressive with the top speed of this compact SUV being about 175 kmph, which is rather thrilling for the passengers sitting inside, but at the same time it can reach from 0-100 kmph in almost 13 seconds. As far as Nissan Terrano features are concerned it is loaded with lot of good aspects. The safety features expected to be include in this upcoming version are ABS (anti lock braking system) along with EBD (electronic brake force distribution) with emergency brake assist, and also has stability control module, sensor door unlock, fog lamps in the front and defogger in the back of the SUV to enhance the visibility of the driver and many other things.This upcoming model Nissan Terrano price is not officially announced by the company but the expected price is some where around Rs. 7 lakh (Ex showroom New Delhi). The inside of this compact sports utility vehicle is expected that it is done up with flamboyance and the company has integrated quite a number of good features in it, which will surely captivate the customers. Apart from these the company is also expected to include some other features for the entertainment of the occupants, such as a sophisticated and advanced audio unit with remote control, blue tooth and USB and AUX-IN port as well which was soothing and played good music, a technically advanced and tilt adjustable steering wheel and many other features to attract the buyers. 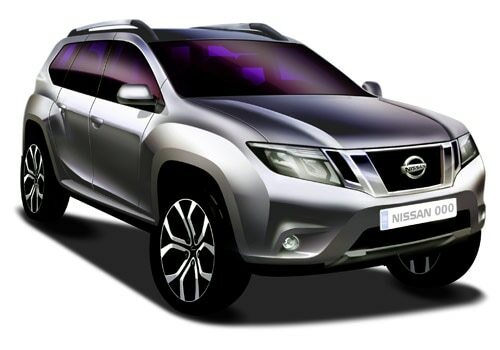 Nissan Terrano pictures are not officially reveal yet but it is expected to be stylish and stunning.